A collection of basic sewing tutorials for the beginner sewer. Click the link under each photo to begin the tutorial! 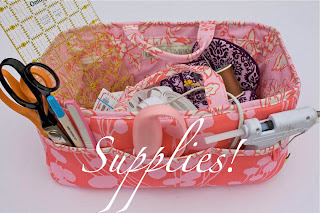 The supplies you need to start out! The first step; threading your machine! 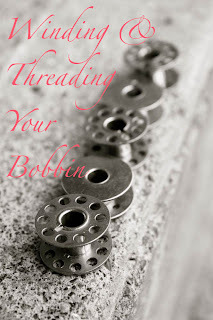 Winding And threading your bobbin! Brilliant, a friend of mine wants to start sewing so I'm going to direct her here. Awesome! I just started sewing and love what you do. These are great! I just shared your link with a friend who is a beginner sewer and these are wonderful for her. She didn't know what a bobbin was or anything when we started talking. I am definatly a beginner. Thank you for giving me an idea where to start. I can't wait to begin. 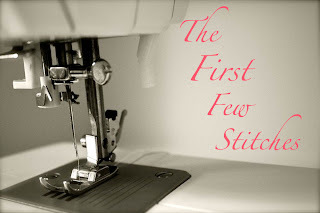 This blog is going to help me be able to sew my projects in my own home, instead of packing up my stuff and bothering my mom for remedial sewing tasks! Love this! I just got my first machine this Christmas and I am trying to figure this darn thing out! I used to sew when I was younger, but I guess it's not like riding a bike! I wish I would have found this blog before I spent an ENTIRE weekend trying to figure out how to thread my machine through trial and error. Thank you so much for giving me the confidence I needed to pull my machine back out! I have had a sewing machine for years and played with it long ago, but never really knew what I was doing (I wasn't far off from the basics though :-D). Thanks for these "sew basic" posts! I am a new sewer, anxious to create cute things for my two little girls, and your "sew basic" posts are great! God Bless! These are fantastic! Thanks ever so much. I'm reembarking on a sewing adventure, and these are just thing to start me on my journey. You have great ideas, wonderful pictures, super inspiration, and now you're a topnotch teacher too! Yay! Thank you so very much for your time on this!!! I am an intermediate at sewing I learned in home ec in junior high all these basics, it's great to review them but also I have so many friends that want to learn and ask me to teach them, yet we have small children so it's very hard to coordinate this... You've made it so very simple to understand. Excellent work, thank you it's a huge blessing! Thank you SO much for this. I have just moved to Norway to be with my boyfriend and bought myself a brand new sewing machine to help me along the way. Imagine my surprise when the instruction book didn't include English - uh oh! I'm learning Norwegian but I'm not there yet. 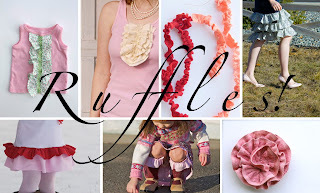 These tutorials are just perfect for me right now - and I've just sat and cut out some practice petals to make a ruffly flower - gorgeous! This is a great series. Can you do a tutorial on different settings/stitches/needles? I never mess with the tension on my machine or change my stitch length, but I know I should. Also, I'm never sure if I need to switch needles for different kinds of fabric. Thanks for the help! Can I request a sewing basic for thread tension? and perhaps using different needles for different fabrics? I saw you mentioned something about that but I had no idea I was supposed to be using different needles. Am I supposed to do different things depending on the thickness of my fabric? I have been sewing for a while and am totally self taught so I do everything through trial and error. I have read the manual on my sewing machine but am still confused. thank you, thank you, thank you! thank you so much for doing this! you are an answer to prayer. i am 22 years old and have always dreamed of being a seamstress. i could plan big, but when it came down to it i just did not know how to sew -- or even where to start! my mother is a pretty good sewer, but she's so busy all the time that i could never get her to teach me. november 2008 i decided to buy myself a present - a $100 sewing machine to teach myself to sew. haha well that sewing machine got used by my mother, but never me. UNTIL NOW!!! you have equipped me with the knowledge i needed. you are a God-send. thank you for the light you are in my life. hi, i loove your blog! its very inspiring, every time i visit, it makes me want to make something new! i have a quick question though.... im making something right now, and its asking for a long stitch (im a new sewer) is that the same as basting? this blog is awesome, thanks for all your helpful tutorials and sharing your creativeness with us all. THANK YOU!! These are AWESOME!! I'm in my late 50's, just bought a sewing machine & had no idea where to start :( Well, I think I just found it :) This looks awesome! Step by step directions - with a bonus - pictures too! I can hardly wait to start right from the beginning with all the basics. Thank you so much for these wonderful tutorials. I'll be checking back often to see what's new! Thank you for your sewing basics tuts. I am self taught, so I missed a lot of the need to know basics. Thank you for catching me up! This is so awesome and exciting!! Thank you for all your work to make sewing easier for me, especially since i live so far away from my mom and am teaching myself!! I just need a tutorial on thread tension! Argh!! Thank you so much for these tutorials! They are so clear and wonderful. I just purchased my first ever sewing machine and it should be arriving tomorrow. I am so excited to get started! =D I'm glad I found your blog! 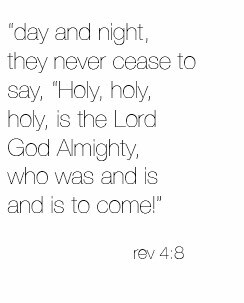 I am so excited to find this on Pinterest! I just got a sewing machine this morning so I am going to take the weekend to learn my machine and try to make something simple like a skirt! I just borrowed my mom's sewing machine and am eager to begin sewing. Thank you so so much for your tutorials on the basics. They're the best resource I've found so far..all your pictures and notes are so helpful. Thank you!! Thank You for Sharing this knowledge. i am also a beginner. Oh. man. 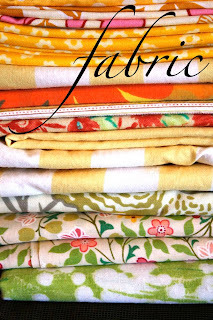 As soon as I have a space to sew, I will be all over this! Sewing is next on my list to becoming DIY sufficient. Thank you for putting this together!! 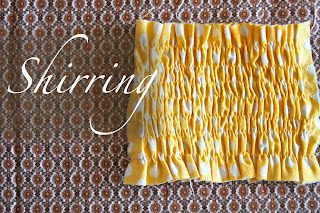 Thank you for sharing the tutorial on shirring. 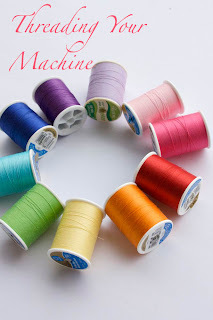 It's the easiest instructions I've seen and thanks also for telling us about the other site in regards to using the machine to wind your bobbins. Very thoughtful and useful. Hey Disney. Thanks a lot for your tutorials. I am planning to start sewing, and I am really confused about the type of machine to purchase. I tried looking for your singer pearl online but I can't seem to find it. I want something affordable but not too basic that I would have to buy a more advanced one a few months later. Any suggestions would be really helpful. 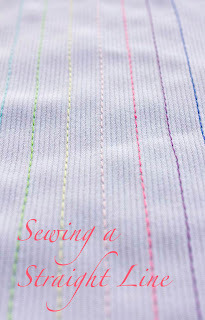 Thank you for the tips about sewing a straight line. It seems easy, but it's not, especially since I have fine motor skill problems. lol! I'm sure your website will come in handy for me!